LONDON: Chelsea’s under-fire manager Maurizio Sarri has dismissed reports he is in talks to replace Eusebio Di Francesco at AS Roma. Sarri’s future in London has come into question after his side dropped to sixth in the Premier League, with fans turning on the Italian during recent defeats to Manchester City and Manchester United. 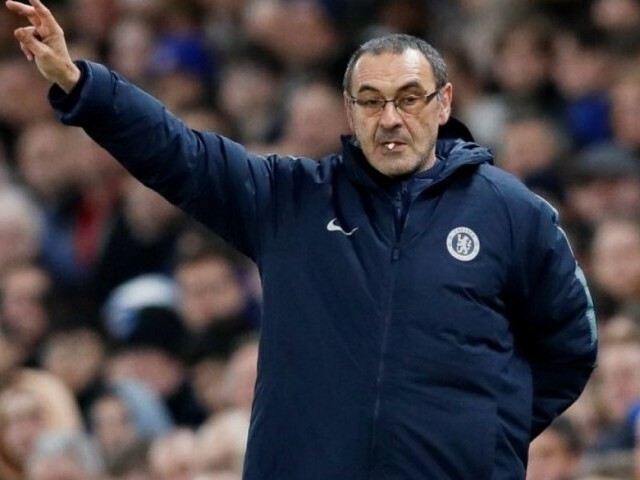 Thursday’s 3-0 win over Malmo at Stamford Bridge put Chelsea into the last 16 of the Europa League 5-1 on aggregate and relieved some of the pressure on Sarri, but he still had to answer questions about the Roma links after the match. “I have a contract with Chelsea for the next two seasons so it is impossible to have another contract,” he told BT Sport. Another figure at Chelsea feeling the heat is midfielder Jorginho, who was booed by the home support when he replaced goal scorer Ross Barkley in the second half. Sarri came to the Italy international’s defence. Chelsea next play Manchester City in the League Cup final at Wembley on Sunday. Arsenal midfielder Alex Iwobi praised ‘world class’ team mate Mesut Ozil for his role in Thursday’s 3-0 Europa League win over BATE Borisov, although manager Unai Emery has not guaranteed the German midfielder a starting spot going forward. Arsenal overcame a 1-0 deficit to move into the last-16 with a 3-1 aggregate win during which Ozil, who missed the first leg in Belarus, started only his second game in the club’s last 11 fixtures in all competitions. Emery was satisfied with Ozil’s ‘positive’ impact but said he would be rotated depending on the needs of the team and Arsenal’s schedule in the coming weeks. “If he is available, like the last two weeks, we are going to play a lot of matches and maybe sometimes we need him in the starting XI and sometimes on the bench because we have a lot of players to also help us,” Emery told reporters. Arsenal next host Southampton in the Premier League on Sunday.